Commercial Property with Business Opportunity! 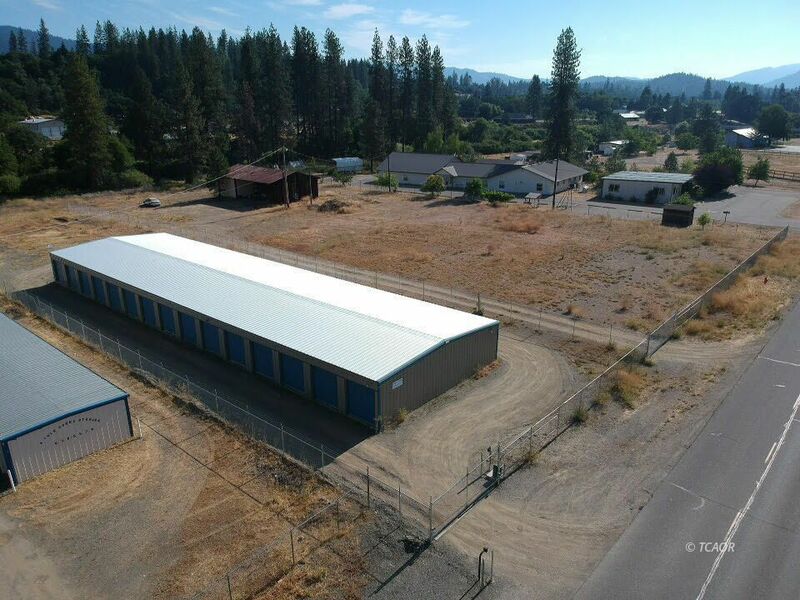 This Commercial property is located in Hayfork and totals 3.26 acres. The Property is zoned C-2 with a General Plan of Commercial, per the Trinity County website. The owner has recently constructed a thirty unit mini-storage building and has approval for two more buildings consisting of 60 to 120 units. The Mini storage is fenced and has an updated state of art security system in place with 1080 high def cameras with remote operational ability as well as other systems in place. City utilities are to the property with water and power installed. The Property has 3 phase 220 power at all buildings including the old barn. The Property is in a great location and offers a lot of business options! Come take a look, this maybe a way to have a business with current cashflow! Seller is open to various offers so don't hesitate to bring your ideas!